Sometimes we let the hygiene and care of our teeth slip our daily routine. Do that long enough and you wind up with a bad root canal. Perhaps you take great care of your teeth, but you seem to have problems regardless. Your dentist may have even told you to get a root canal filled after a routine checkup. Whatever the reason is, if you're searching for root canal therapy in Etobicoke, then you've found exactly that. 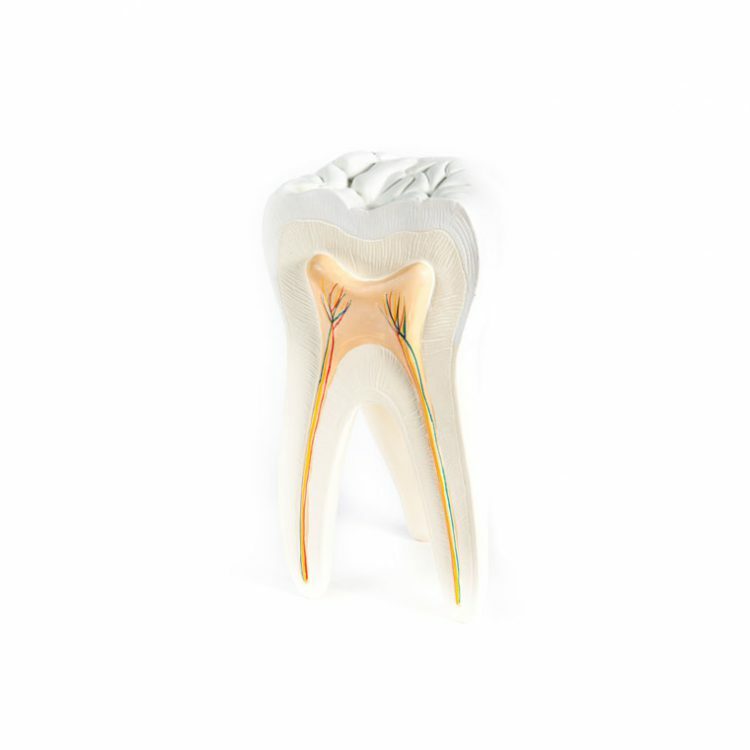 Underneath the white enamel on the surface of a tooth, there is a hard layer called dentin. Underneath the dentin is an inner layer of soft tissue called the pulp. This pulp is what contains blood vessels, nerves and connective tissue which help the root of your teeth grow during developmental stages. In a tooth that is fully developed, it can survive without the pulp because the tooth is nourished by the tissue surrounding it. That being said, problems do appear without a root canal such as less effective chewing, increased sensitivity to less protection against stains and excessive wear. Symptoms of infected pulp can also include visible injury or swelling on the tooth, sensitivity to temperature or sharp pains in the tooth and gums. If you experience these symptoms, your dentist may recommend root canal therapy to eliminate the infected pulp. Did you know that root canal therapy in Etobicoke is one of the most common dental procedures? Globally, over 14 million procedures are performed ever year. This simple treatment has saved thousands of peoples' natural teeth, preventing the need of dental implants or bridges. Root canal decay can be caused by a variety of things from deep decay of cavities, repeated dental procedures on the tooth, faulty crowns or a crack or chip in the tooth. This causes the pulp to become inflamed and infected. Root canal therapy, also known as endodontic treatment, is necessary when these signs show up. During root canal therapy in Etobicoke, the treatment is done by removing the inflamed or infected pulp inside the tooth. The tooth is then carefully cleaned and disinfected before being filled and sealed with a rubber-like material. Once this is done, a crown or filling is placed on the tooth for extra protection. The entire therapy is usually done with local anaesthesia and may be completed in as little as one visit, depending on the number of teeth requiring treatment. Up to 90% of patients report success with their root canal therapy, or endodontic treatment. This non-surgical procedure not only allows patients to go back to eating their favorite foods with less pain and sensitivity, but root canal therapy also helps you maintain your natural smile while limiting the need for ongoing dental work. With proper care and maintenance, root canal therapy can last a lifetime without the need to be re-done.